Amazon regulates Sennheiser and Monster headphone sales | What Hi-Fi? Amazon is to restrict third-party sales of Sennheiser and Monster headphones on Amazon.co.uk, bringing in fresh regulations that mean only certain sellers will be able to trade models from those manufacturers - including the popular 'Beats' range. "With effect from 8th November 2011, we will be implementing restrictions on the listing of all headphone ASINs from Sennheiser and Monster (Monster Cable) on Amazon.co.uk." "From 8th November 2011, the listing of these items will be restricted to sellers who have had a Selling on Amazon account for at least one year and an established record for the sale of consumer electronics on the marketplace with a good performance history. This action is being taken to ensure that we continue to offer an excellent service to our customers. " "To list these items in future on our site, you will need to establish a consistent level of sales over a number of months and deliver a great experience for your customers. " "Please note that at all times Amazon Services Europe reserves the right to cancel listings, suspend accounts, and prohibit the selling of specific products to maintain a seller platform that is safe for customers. Meeting the criteria above does not therefore guarantee approval to sell these items." "These requirements relate only to Sennheiser and Monster (Monster Cable) headphones and do not currently affect other listings on the marketplace (provided that other restrictions do not apply)." Amazon's announcement appears to be just the latest in a series of moves designed to cut sales of fake headphones. 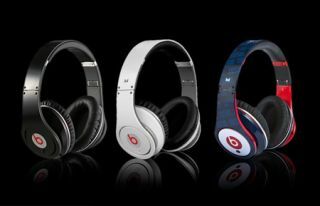 Sennheiser and Monsters - as leading brands - are key targets for counterfeiters. Sennheiser has recently filed a lawsuit over fakes (see our news story here), while Monster has a Counterfeit Awareness Center on its website here.